ErikL, twotone, Yank and 4 others like this. No truth in the rumour that this is just the sun shining out of JC's 4r5e, then? 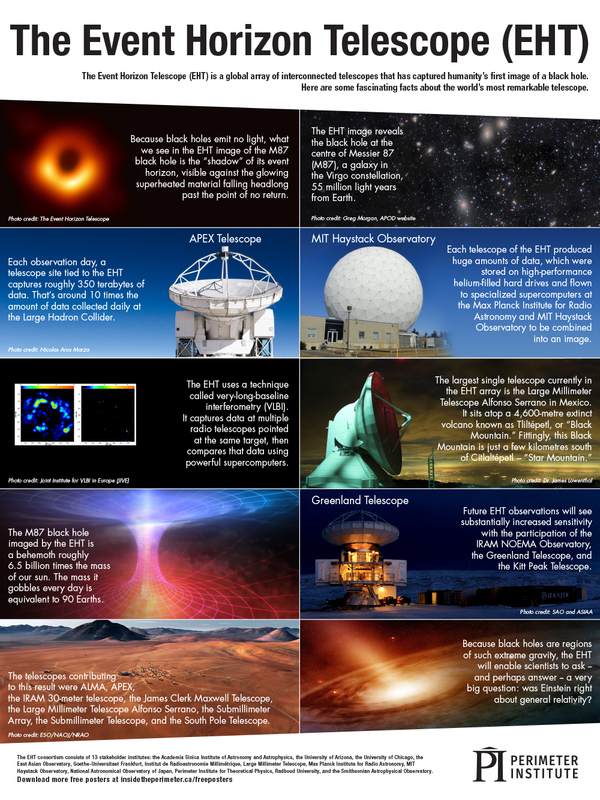 If anyone needs a description of me in future I will now say ‘imagine a black hole’s accretion disk.’ Although I suppose ‘shaped by doughnuts’ would be better than ‘doughnut-shaped’ in my case. This is what happens if you divide by zero. You've been warned! Imagine combining that with a mobius strip? Funny, I just get NaN. You hardware types are so over dramatic. Oh, but I wanted a naan. I'm just glad that sucker is as far away as it is! I just got this in my inbox from the Perimeter Institute. Yank and jackbarron like this. If we where at the movies we would all be shouting "Focus"
The Event Horizon looks like a smiley. 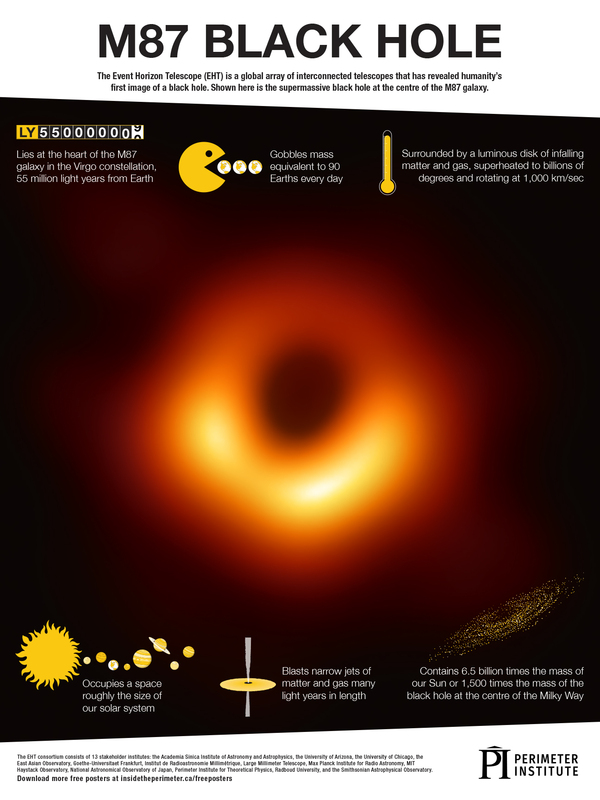 But as JohnR has pointed out elsewhere, the black hole itself could be Brexit. Maybe it's a dosa, from end-on? I think it's fascinating that something to emerge from the theory of relativity, i.e. from human thought alone, that Einstein himself couldn't comprehend, has now been imaged from earth. Mr Cat, herb and Joe P like this. Agreed but things get complicated when metaphysics becomes involved. It is impressive and fascinating, but not so inspiring? The scientific cosmos seems cold.